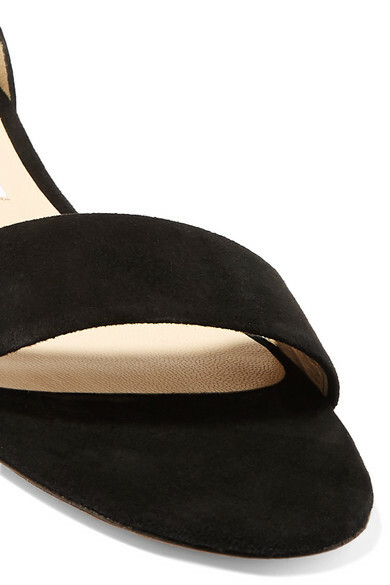 Jimmy Choo's 'Jaimie' sandals are such a classic pair, you'll find yourself wearing them season after season. 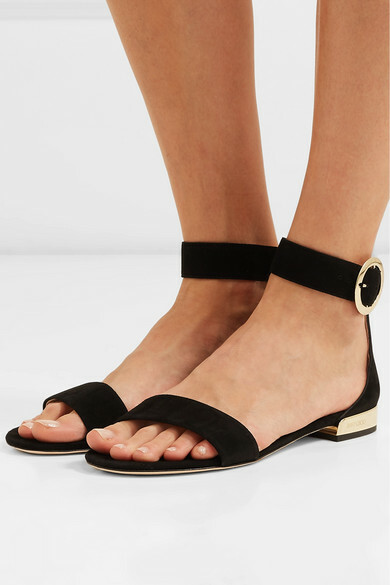 They're made from supple black suede and set on a glossed gold heel to match the circular buckle. Team yours with everything from jeans to dresses. Shown here with: Chloé Dress, Chloé Shoulder bag, Alighieri Bracelet, 1064 Studio Necklace.